Matrix / Runout (Etchings Side A): MPO DC 020 A1 THE EXCHANGE - NILZ. 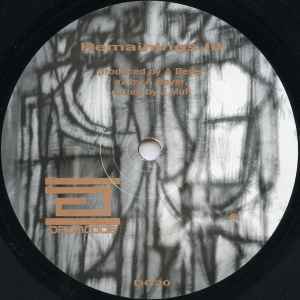 Matrix / Runout (Etchings Side B): MPO DC 020 B1 THE EXCHANGE - NILZ. Matrix / Runout (Etchings Side C): MPO DC 020 C1 THE EXCHANGE - NILZ. Matrix / Runout (Etchings Side D): MPO DC 020 D1 THE EXCHANGE - NILZ. While being very dry and minimal - it's usefulness on the dancefloor becomes obvious, even to the casual listener. Luckily, the tracks are all different and provide a broad spectrum of listening tastes. B2 is definitely my favorite - using low roaring tones that really get the crowd moving. There has never in my opinion been a better track to describe techno. With Aggressive drums and a deep dark bass riff what more could you want. I wish I could find this record somewhere. Its been on almost every one of my favourite Tech and tech-house cd's and probably in many record boxes. Well done Adam, that ones a stompa! !